This is NOT a review of Catelli’s Restaurant in Voorhees, NJ. 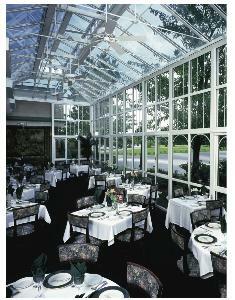 We went there on Friday evening as it was the setting for a surprise 75th birthday party for a family member. My wife, Kathy, and I did not expect anything other than that we would, at some point, be fed some type of meal. As with many of these pre-planned functions, there was a limited choice of four items from a specially created for the occasion menu. I do NOT consider this as a fair representation of their menu and that is why I had no intention of treating this as a dinner where I would do my customary review. The reason I am writing this is to give you a very brief account of what was just a fantastic dining experience and one that was totally unexpected. The four entree choices were Veal Florentine, Chicken Marsala, Filet Mignon and Onion Crusted Salmon Balsamico. It would have appeared to be a no-brainer in choosing the Filet Mignon, but for some strange reason both my wife and I selected the Salmon. Many of those who selected the filet remarked that it was wonderful, so tender you could almost cut it with your fork. Kathy and didn’t care because our salmon was better than that. It was absolute cooked perfection. The carmelized onions and rich sauce, in combination with the melt in your mouth potatoes, was just sheer culinary magic. There is nothing better than having low expectations and then being stunned by a meal that was simply splendid. 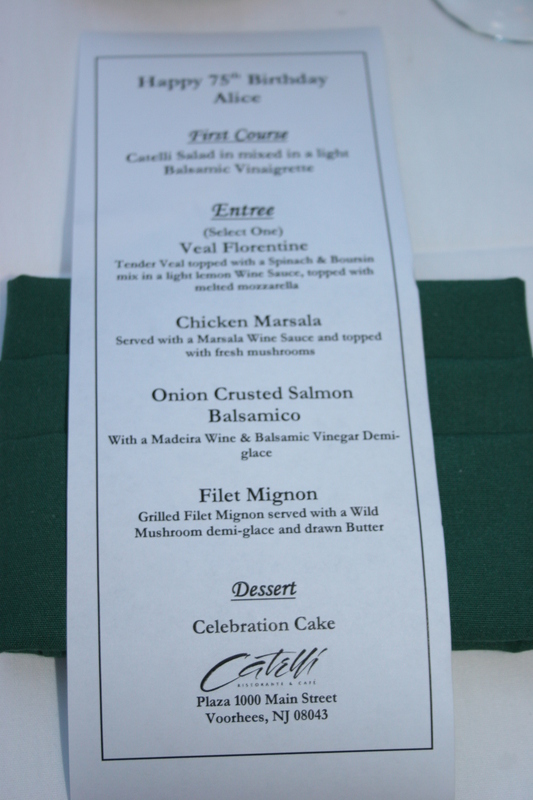 We can not wait to make a return visit to Catelli’s for a full-course dinner.